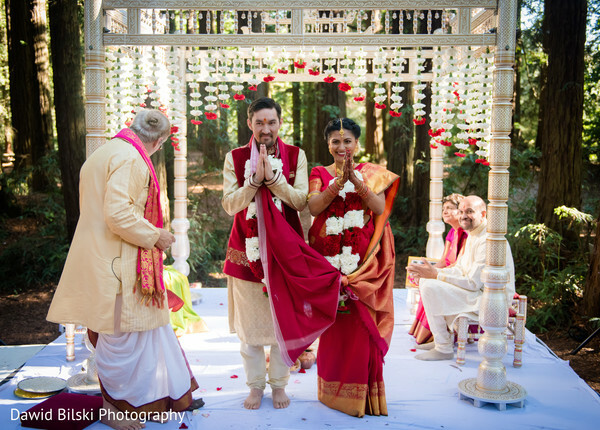 Every element of Aarti and Chris’ Indian fusion wedding was infused with charm and eclectic details. 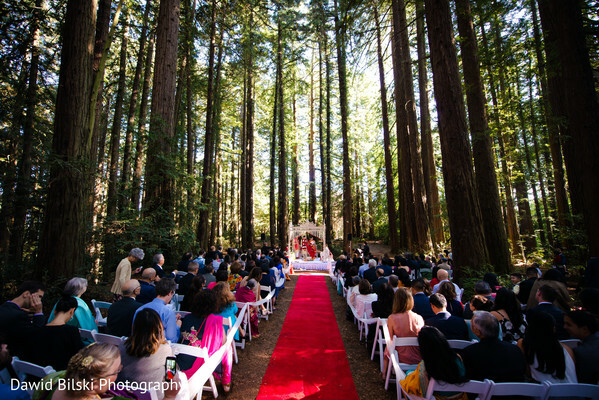 We have to admit, their fairy tale wedding blew us away. 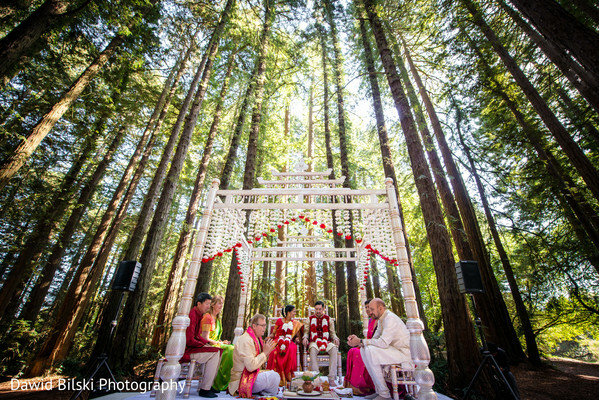 After all, it’s not every day that we witness a decadent Indian ceremony occuring outdoors in a redwood forest! 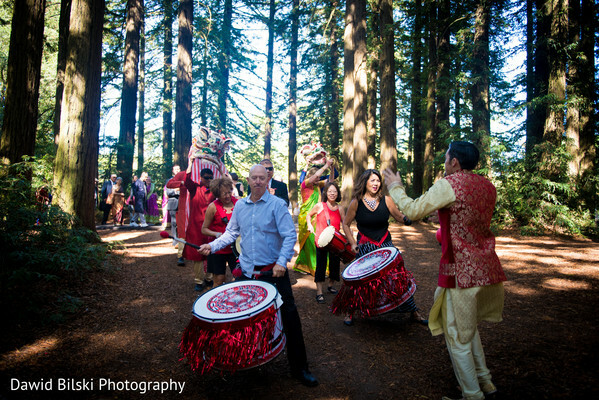 Such an incredible juxtaposition of traditional Indian culture with the lush outdoors. 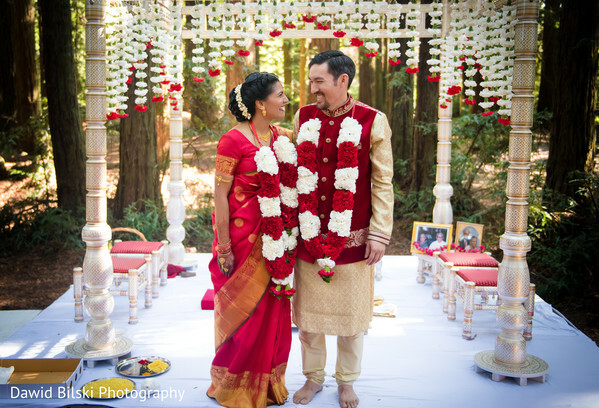 The creative minds at Simply Elegant Weddings & Events helped with the arrangements at the Roberts Park - Oakland venue, and the beautiful mandap stage, red carpet, and lovely seating surrounded by towering trees was the perfect setup for the uber romantic ceremony. 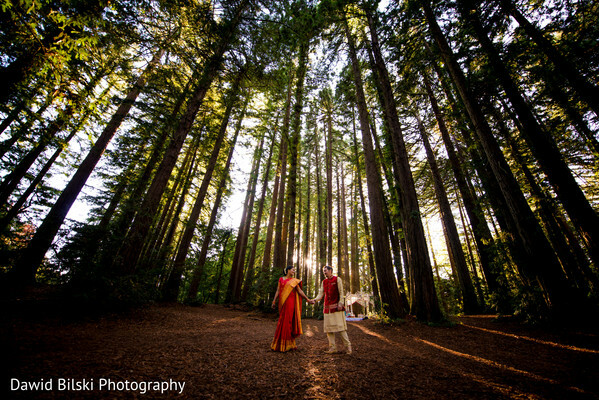 Our hearts were just fluttering over the majestic trees overlooking Aarti and Chris’ sacred vows. How magical! 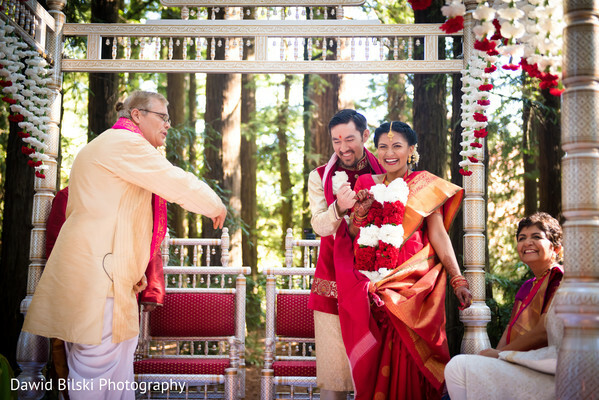 We were smiling with joy at the duo’s ceremony proceedings, since these two seemed to radiate bliss throughout the event. 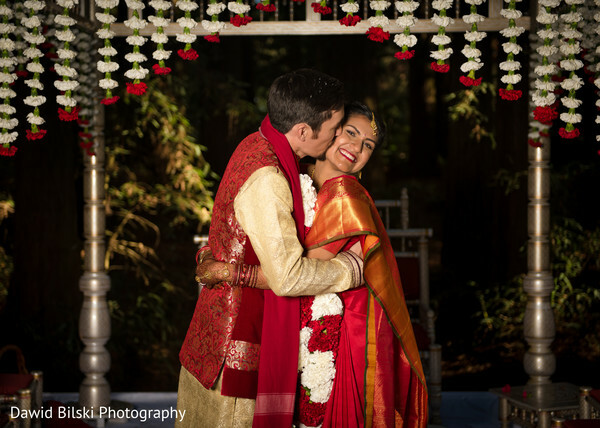 Aarti and Chris are obviously a match made in heaven! After their vows, the newlyweds bounded through the audience, surrounded by playful bubbles. 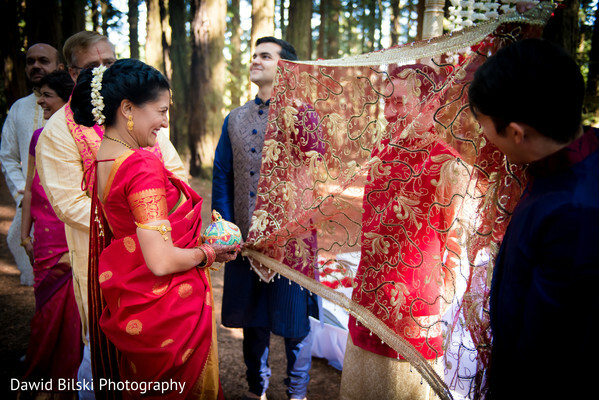 This heartfelt event was captured by Dawid Bilski Photography, and the full gallery will leave you breathless since every snap is brimming with romance. 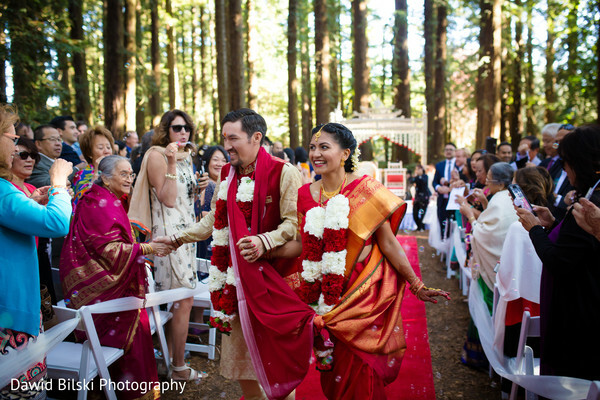 Next, we'll cover all the funky reception deets! 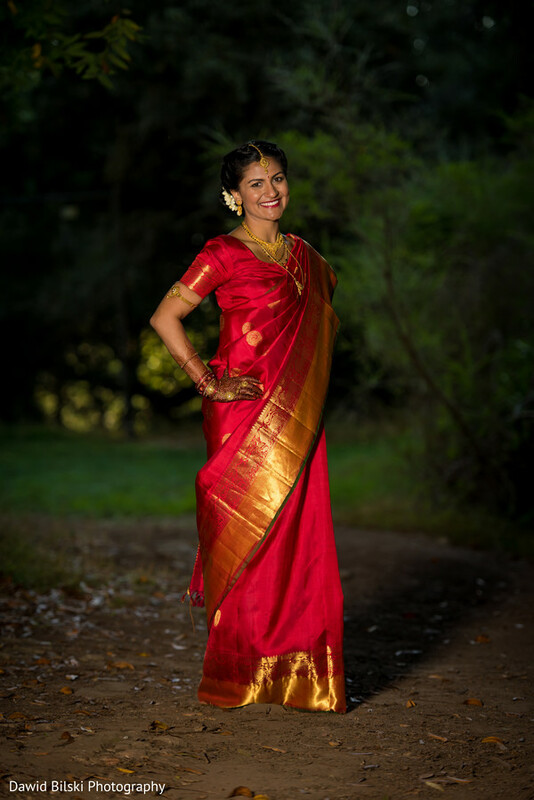 Dawid Bilski Photography and DJ Tanveer are members of the Platinum Guide. Love what you see? Explore their portfolios.